I’m always looking for new recipes. I think the ones I search for the most usually include the ingredients: chicken, tomatoes, eggs, sweet potato and ground turkey. I do a bulk of my meal planning on Sunday’s, which means I’m probably scanning through cookbooks, magazine’s and Pinterest for about an hour sometime in the afternoon before I hit the grocery store. This week as I prepared my grocery list and added the usual suspects, I looked in the fridge to see what I had in there that I knew I wanted to consume this week, either because the food was going to go bad or I just wanted to make room. 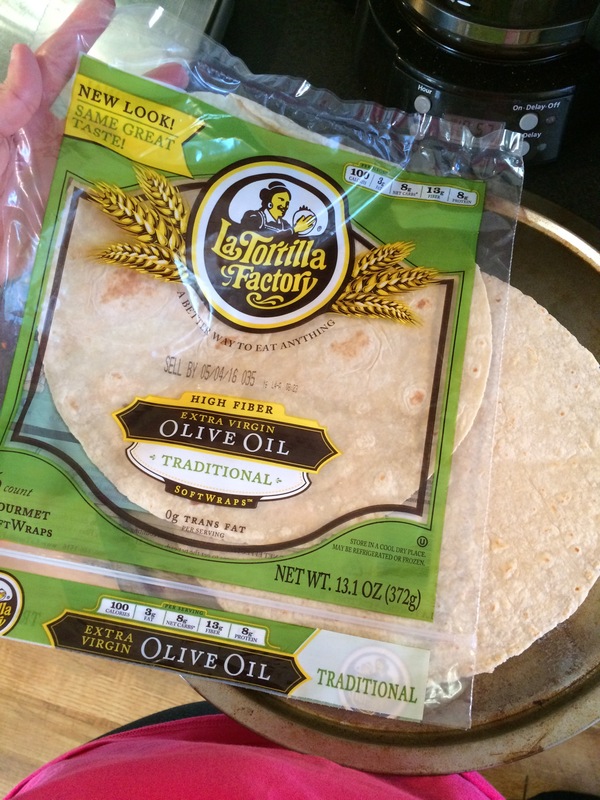 My grain staples aside from oats are flax and oat pitas, English muffins and tortillas. I had two tortillas left in the fridge and to me that’s a sign that I need to do something more than a wrap at lunch. So bring in Pinterest! 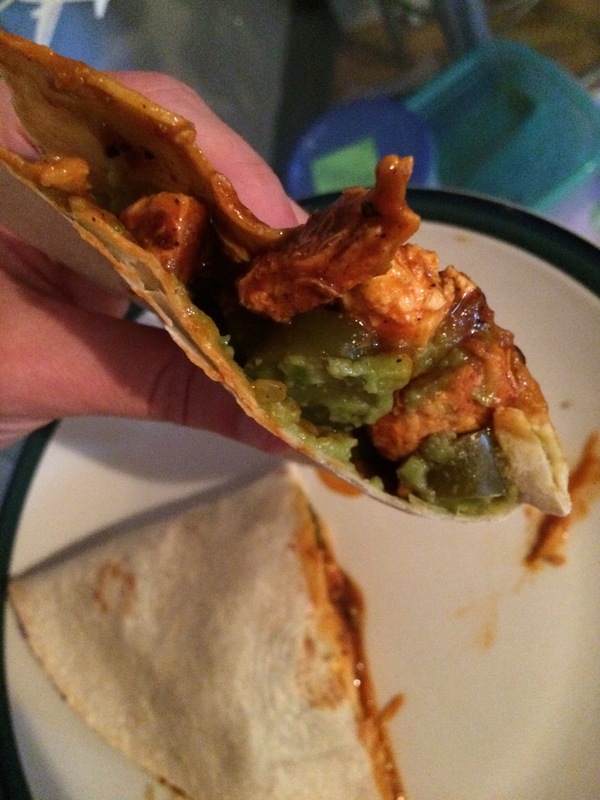 I had found a bunch of quesadilla recipes, but I wanted something a little more simple and I knew that if I wanted guacamole, I wasn’t going to be willing to have cheese as well – just not worth the macros since I had planned peanut butter for later in the day. I mean, we all have our priorities. Mine are typically around peanut butter. So I decided I could still make something similar, but I needed something that would add some flavor and keep the meal interesting. Cut up raw chicken into small pieces. Heat sauce pan and spray with cooking spray. I recommend cooking spray to cut down on fat also you don’t want to make the chicken crisy or fried-liked, which can happen if you use oil. Add chicken to the sauce pan and let cook on one side. Add Fiesta seasoning, or any spicy- seasoning that you like. I have sriracha garlic powder that could have been used for this too. After you add the seasoning, flip chicken to cook on the other side. While your chicken cooks, get out a baking sheet. This is to prep and bake your tortilla. 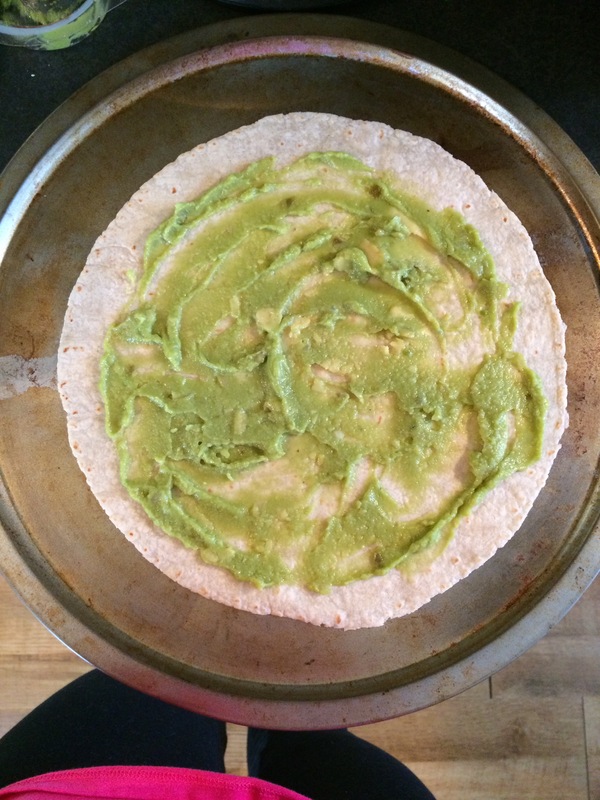 Spread the guacamole all over the tortilla. 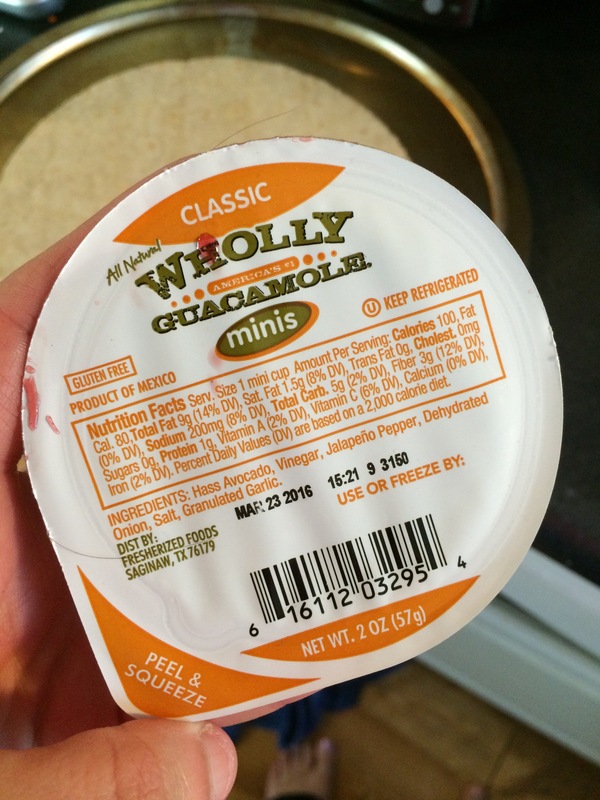 I used a 100 calorie pack from Wholly Guacamole, this is my preference because of portions and sale prices. 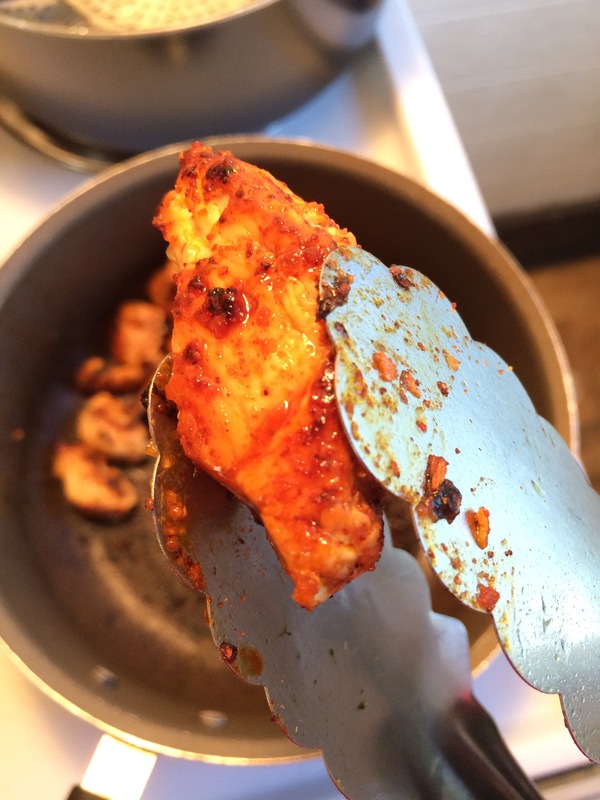 Going back to your chicken when it’s completely cooked add your hot sauce and make sure sure chicken is completely covered. 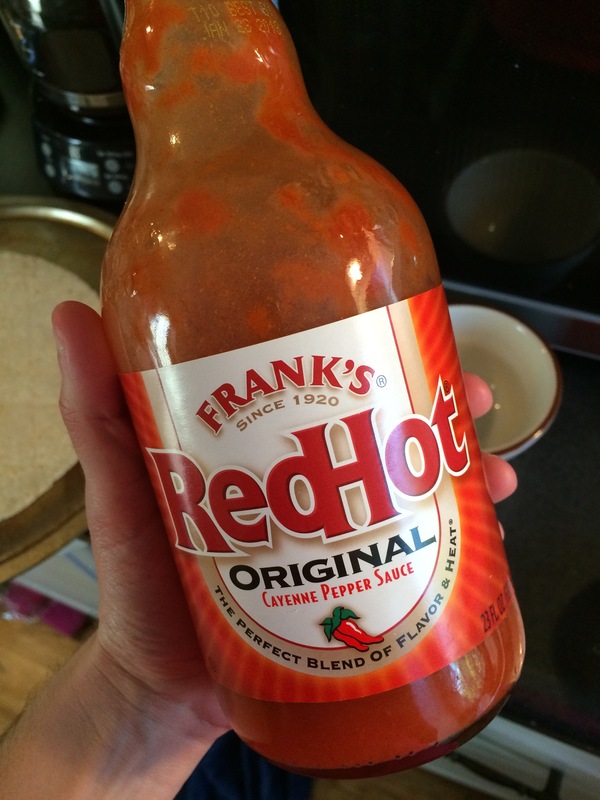 I recommend 2 tablespoons, but again this will be preference depending on how hot you like your food. 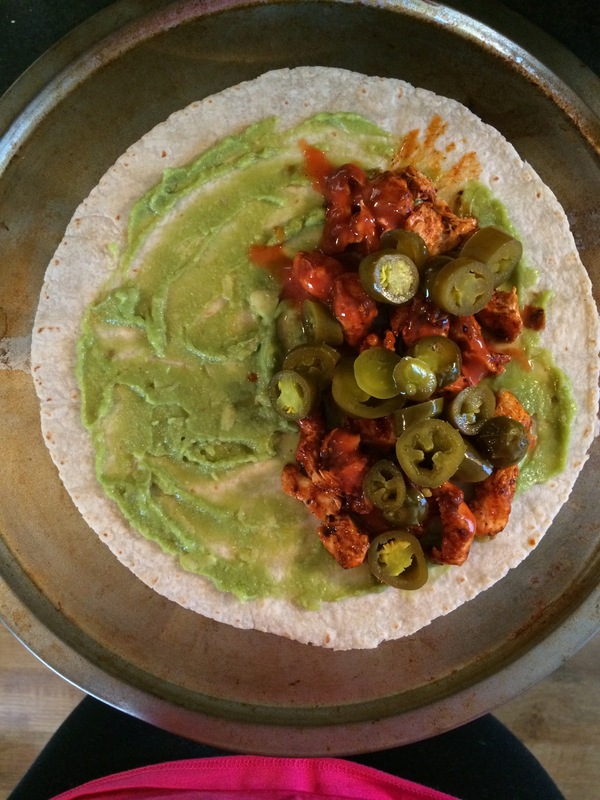 Add chicken to one half of your tortilla. Make sure that it’s evenly spread out so that there are no piles of chicken. This could prevent the tortilla from staying closed while baking. Optional: to finish add 1/4 cup of jalapenos. Fold tortilla in half and bake for 7-10 minutes or until crispy. **Macros may differ when changing ratios and brands. Looks so good! Can’t wait to try it! Do you have a public Pinterest page? No, I don’t because it’s not all healthy recipes and fitness things I look at. The key words I search are as easy as “recipes with chicken and tomato”. It’s nothing extravagant or impossible for others to search on their own.